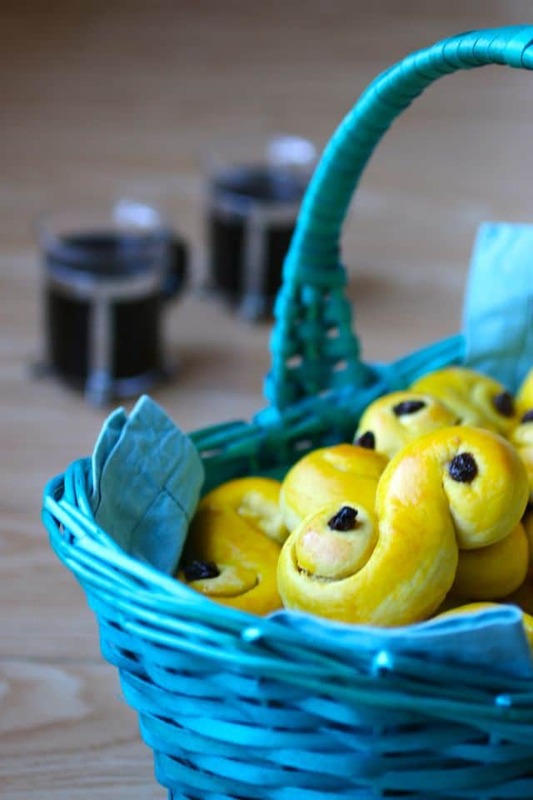 After the celebration of Saint Nicolas last week, we are headed to Sweden to celebrate another saint, St. Lucy, this time with traditional saffron buns called lussekatter. But before we start, let’s talk about a first on 196 flavors: the arrival of new cooking friends on the blog. 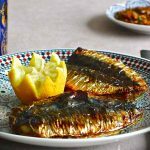 Vera and I have virtually traveled the world for more than two years now, always in search of new recipes, unusual ingredients, unusual preparation methods and we have told the stories of these dishes from around the world. 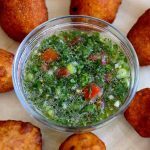 Behind every recipe, there is a ton of hard work and research in order to share with you the origins and stories of these authentic and traditional dishes. I had this idea in my head for a while: why not rely on renowned bloggers and chefs, experts in their field, who would like to share with us their passion for the food they love. It is hard to believe in coincidences but it is also on a Facebook cooking group that I met Delphine, the same way the 196 flavors trio met. When I went to read her blog, I was immediately intrigued by the fact that it is bilingual in English and French. Indeed, I know very few bilingual culinary blogs, and even less in the 2 languages of 196 flavors. I immediately offered to Delphine (or Del for short) to speak via Skype a few days later to discuss our experiences with our bilingual culinary blog. She immediately accepted. We clicked right away and given her expertise in Swedish cuisine, I suggested a partnership with 196 flavors so that she could share her love for cooking, but mostly provide credibility to our Swedish recipes straight from Stockholm. It is with great pleasure that I introduce Del to you. 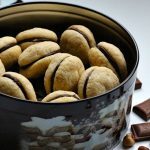 Del has been sharing her recipes on Del’s cooking twist for almost 2 years now. 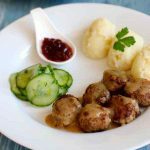 Her blog is a goldmine for Nordic cuisine, especially Swedish cuisine. Del is our first culinary expert. You can learn more about her by visiting her blog, but also by reading the exclusive interview she agreed to do for 196 flavors. Yes, we do exclusive interviews. We’re not joking around! In the coming weeks, we will introduce other experts, some of which we have already met and some we’d love to meet. Indeed, if you know any food blogger or chefs who would be interested in collaborating with 196 flavors, do not hesitate to contact us through the blog by sending us a message or via our various social channels. But back to our lussekatter. 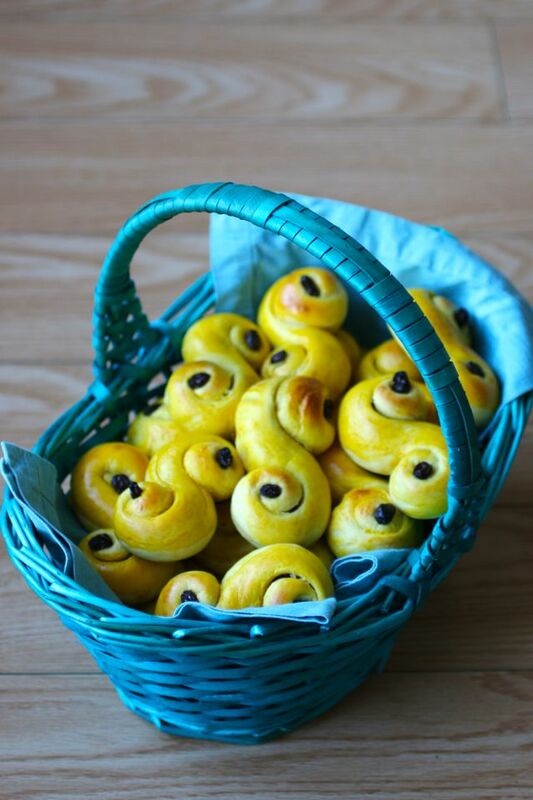 Lussekatter are small saffron buns that are popular in Sweden during the celebrations of Saint Lucy on December 13th. The origin of the festival and the connection with St. Lucy are not very clear. On her blog, Del tells us two of the most famous stories about the origin of this celebration and the traditions of December 13th. The first is that Lucy, who died around 300 AD in Syracuse, Sicily came from a wealthy family. When her very sick mother recovered miraculously, she and her mother handed out their wealth to the poor families of Syracuse. Another version says that Lucy who was devoted to God, refused to marry her fiancé and gave her dowry to the poor. The young pagan man became angry and took his revenge by informing local authorities that she was a Christian. They tried to burn her at the stake but her faith protected her from the flames and her body did not consume. They finally killed her with a sword through her throat. Over time, this story has turned into a story where she was allegedly tortured by soldiers who took her eyes out. This is why she is often represented in religious images with both eyes on a plate, and eventually became the patron saint of the blind. There are many theories on how the legend of Lucy arrived in Sweden. She may have been brought by the priests, by German traders or even by the Vikings through their expeditions in the south of Europe. Nobody knows exactly how the legend has evolved into a unique Swedish tradition as it is today, which explains the many versions of the stories of the Swedish St. Lucy. Some Swedes believe that the Swedish version of the legend has to do with the fact that Lucy comes from the root word lux, which means light. In Sweden, the name Lucy has also been associated with the devil, Lucifer (I promise you I have nothing to do with it), and other farfetched legends have been told from generation to generation. It was not until the twentieth century that Lucy has become a national phenomenon. In 1927, the newspaper Stockholms Dagblad began to choose Lucy to represent the city and conduct a formal procession. Other papers in various Swedish cities quickly took the idea and now almost every town and village elects a Lucy. Lucy’s are picked in elementary schools, and there is even a national Lucy. Girls who are not chosen as Lucy wear white robes and candles and take part in the procession. The boys join as stjärngossar (star boys) dressed in white robes with cone-shaped hats decorated with golden stars or as gingerbread boys carrying lanterns at the end of the procession. 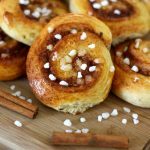 On St. Lucy’s day, it is traditional in Sweden for the eldest daughter of the family to wake her parents up with a breakfast composed of lussekatter and hot coffee. She is always dressed in a long white dress tied with a red sash (as the symbol of martyrdom) and wears a crown of leaves decorated with candles on top. Some would say it is a nine-branch candelabra to celebrate Chanukah but there is apparently no connection! Well, how about if we stopped there with the stories, some of them quite sordid, to talk more about our delicious little buns? 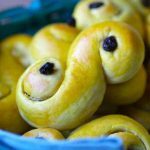 An S-shaped bread similar to lussekatter called pane siciliano has traditionally been cooked in Syracuse for the Feast of Santa Lucy, and their shapre is called occhi di Santa Lucia (eyes of St. Lucia). This bread which honors the same saint is a different kind of bread as it is made from semolina and is not topped with raisins but sesame seeds. Before the Gregorian calendar was adopted by Sweden, December 13th (Saint Lucy’s day) fell on the winter solstice. Originally, the Swedes celebrated this holiday in honor of Freyja, Norse goddess of beauty, fertility and creativity. With the arrival of Christianity, this holiday has become a celebration in honor of St. Lucy. Meeting with Del only a couple weeks was more than coincidental. In fact, when I asked her what the next big national holiday in Sweden was, she smiled and immediately said that Saint Lucy, often considered more important than Christmas was around the corner. So I hastened to prepare these delicious little saffron buns this past weekend. I served them at breakfast. My children and my wife just loved them. Lussekatter are delicious when served hot and fluffy, right when they come out of the oven. I would recommend to warm them in the oven for a few minutes if you eat them later. This post is dedicated to Lucie, my wife Anne’s sister who left this world too young. 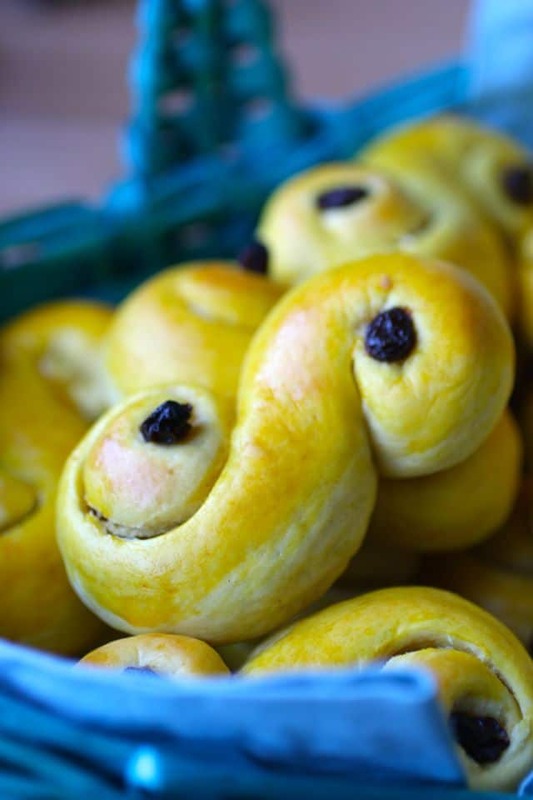 Lussekatter are small saffron buns that are popular in Sweden during Saint Lucy's Day celebrations on December 13th. In a small glass cup, dissolve the saffron and 2 tablespoons of sugar in Cognac. Infuse overnight. Dissolve the yeast in milk and add the other ingredients: dissolved saffron, sugar, butter and half the flour. Work the dough with in a stand mixer for 10 to 12 minutes, or by hand for 15 minutes, until the dough becomes smooth and elastic. Add the remaining flour gradually until the dough does not attach to the sides of the bowl. Transfer the dough to a large bowl and cover with a clean cloth. Let rise until the dough has doubled, about 1 hour. Punch down dough. Lightly knead two or three times on a floured surface. Divide dough into twenty-four equal portions (about 2½ oz per bun for this recipe). Roll each portion of dough into a 10-inch long cylinder and make an S shape wrapping each end around the middle. Put two raisins on every little S-shaped bun and brush with beaten egg. Bake for 10 to 12 minutes or until the saffron buns are lightly browned. 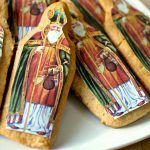 I love this post and Del’s Lussekatter sounds intriguing and delicious. Great job and congratulations on your joint venture. These Lussekatter looks amazing. I have had them a few times and really enjoyed them. I look forward to trying them at home. I love trying new cuisines and dishes. I look forward to following your joint venture. Merci Nicky. Yes, those are really good, especially when warm. We are very excited about collaborating with experts like Del !